How is your week going? Mine is great. 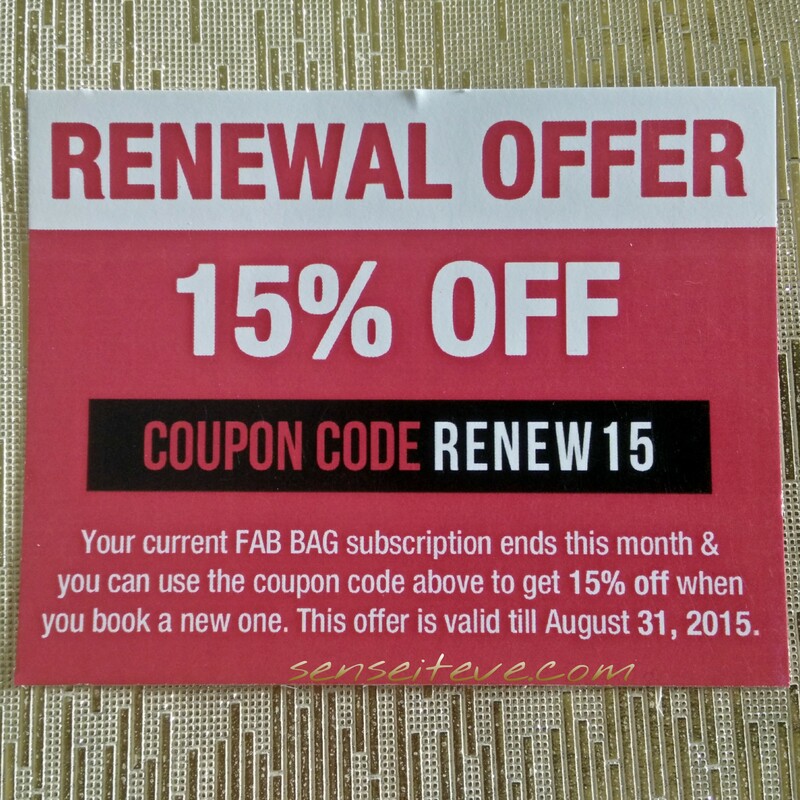 Today I am here to share my monthly bag of happiness fabbag fot month of July 2015. 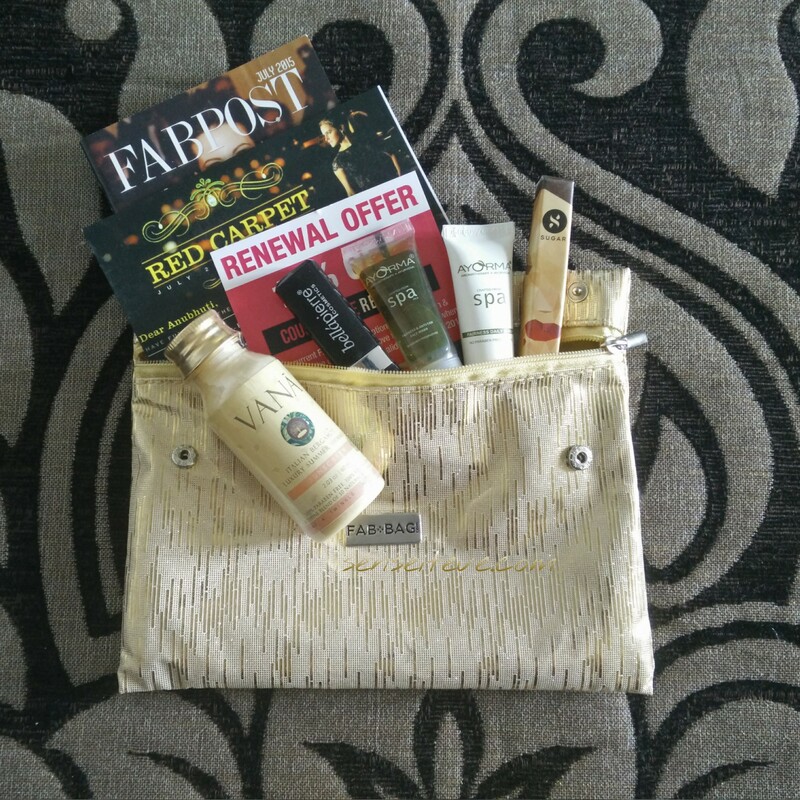 So Let’s see What is In my Fabbag July 2015. 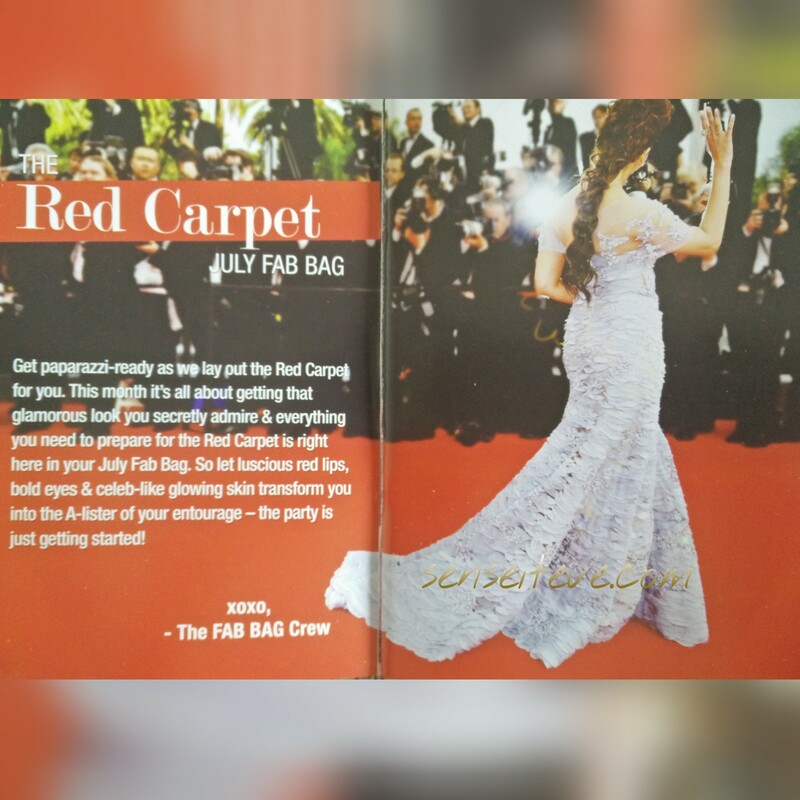 This Month’s theme is “Red Carpet”, Here is what Fabbag tea has to say about the theme. Going with the month’s theme, this is how this month’s bag look. 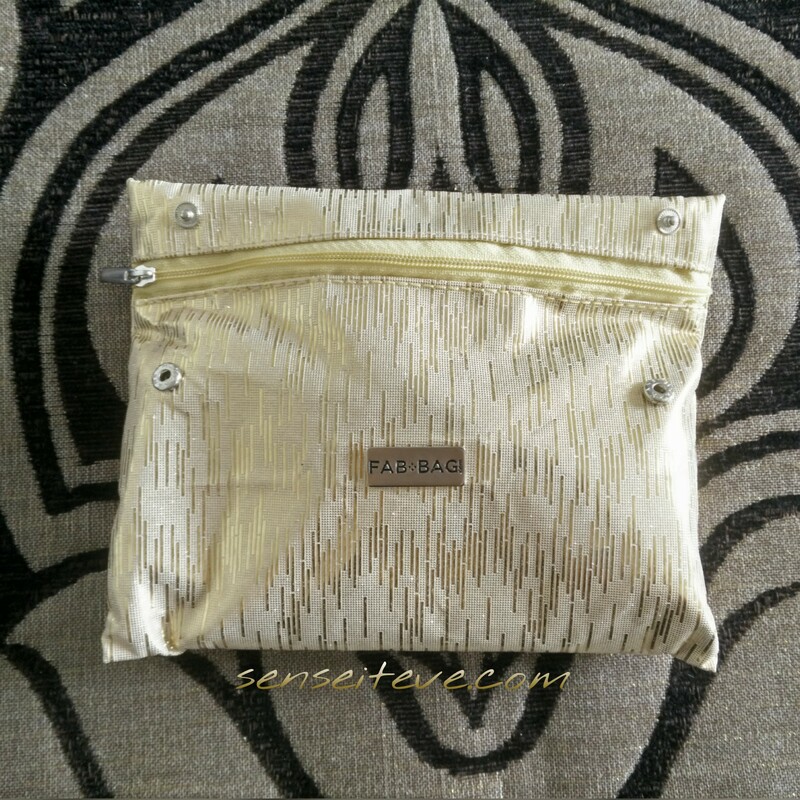 A pretty golden pouch which I am gonna carry a lot with my ethnics as well as party dresses 🙂 Bag is made of very soft and good quality material. A big thumbs up for the bag from my side. See for yourself. I have received total 5 products 2 full sized products, 1 lavish sized sample(50ml) and other 2 small samples of size 8ml. 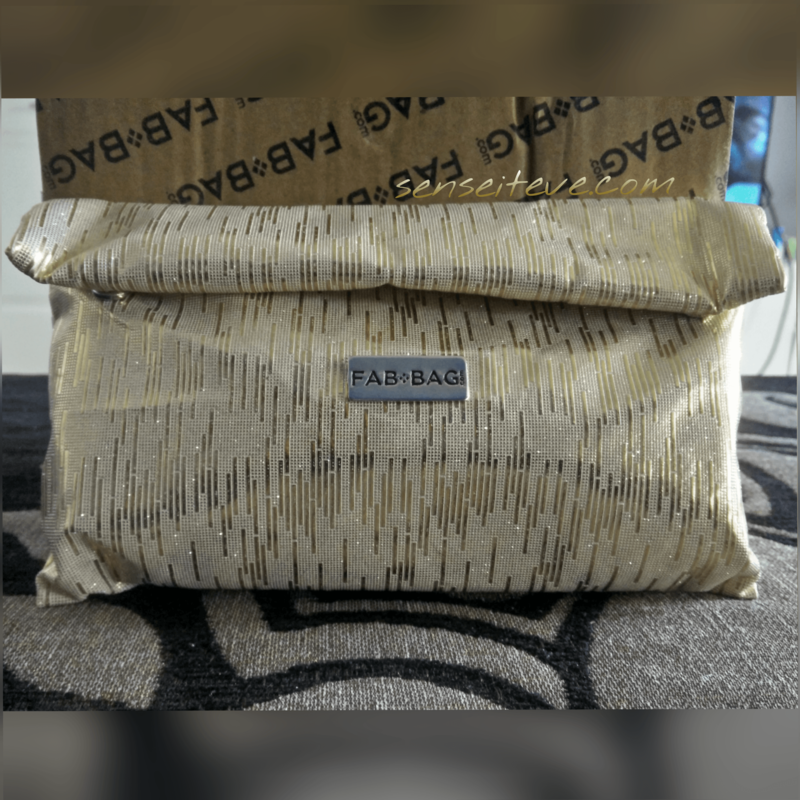 Let’s see in detail what all products I have got in my fabbbag july 2015. 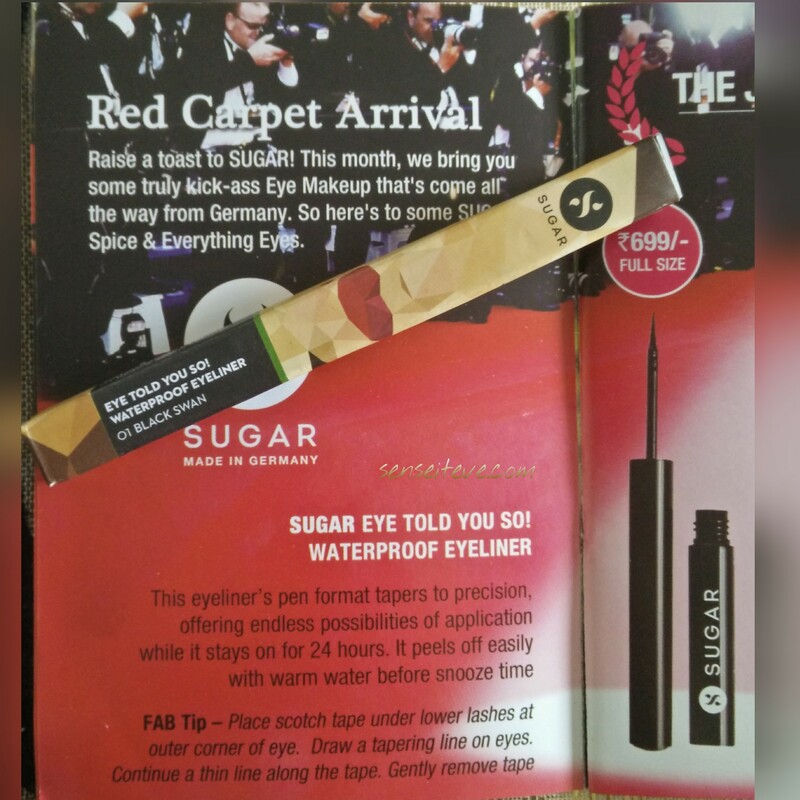 It is full sized products priced 1500/- INR. 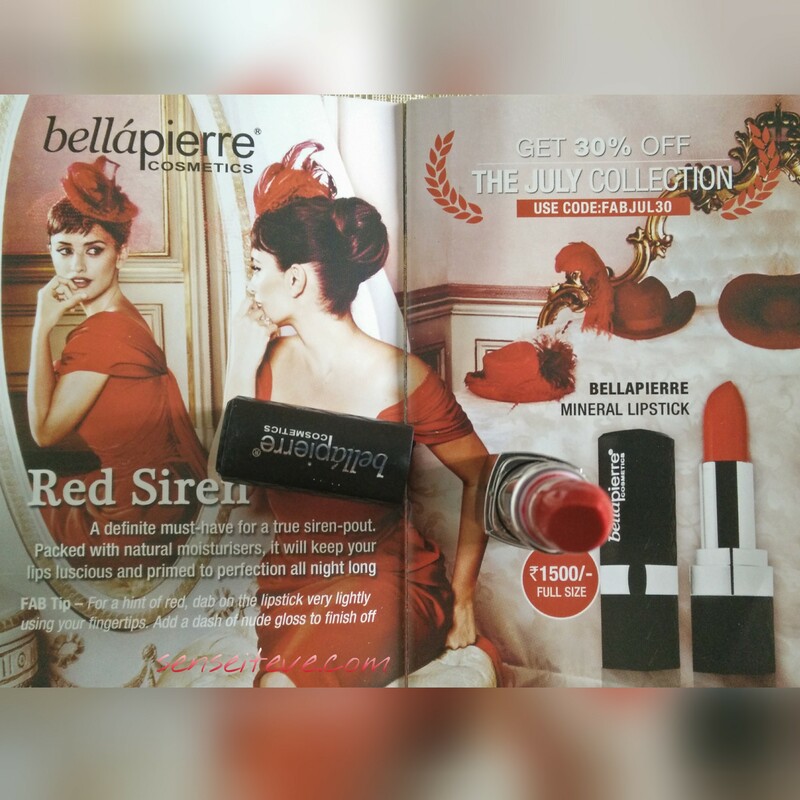 It is a beautiful Red Lipstick which will suit all skin tones. 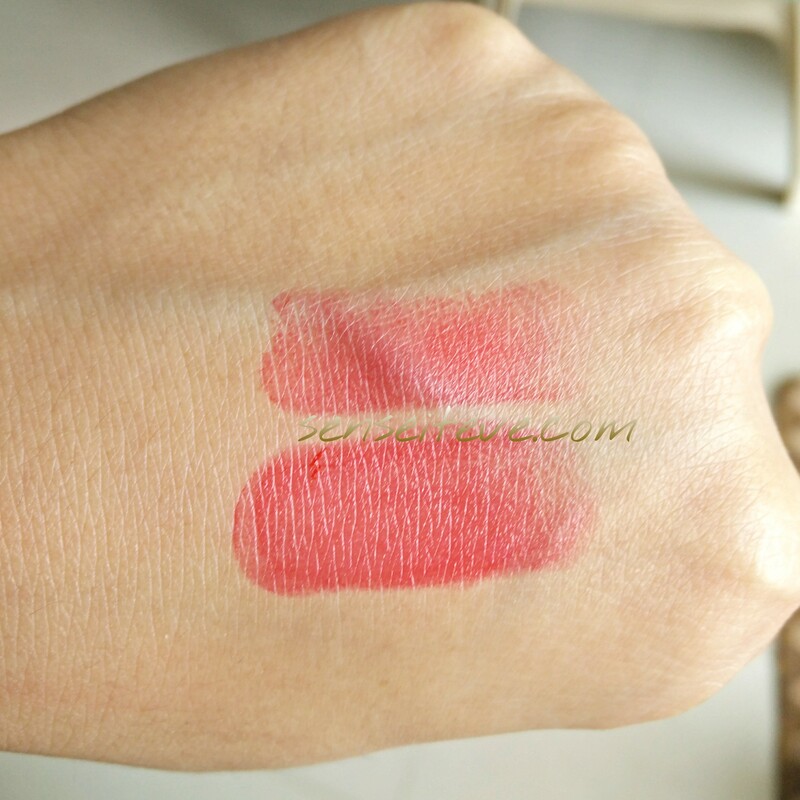 The lipcolor is subtle red so even if you are shy for bold lips, you can carry it very well. It is another full sized product priced at 699/- INR. 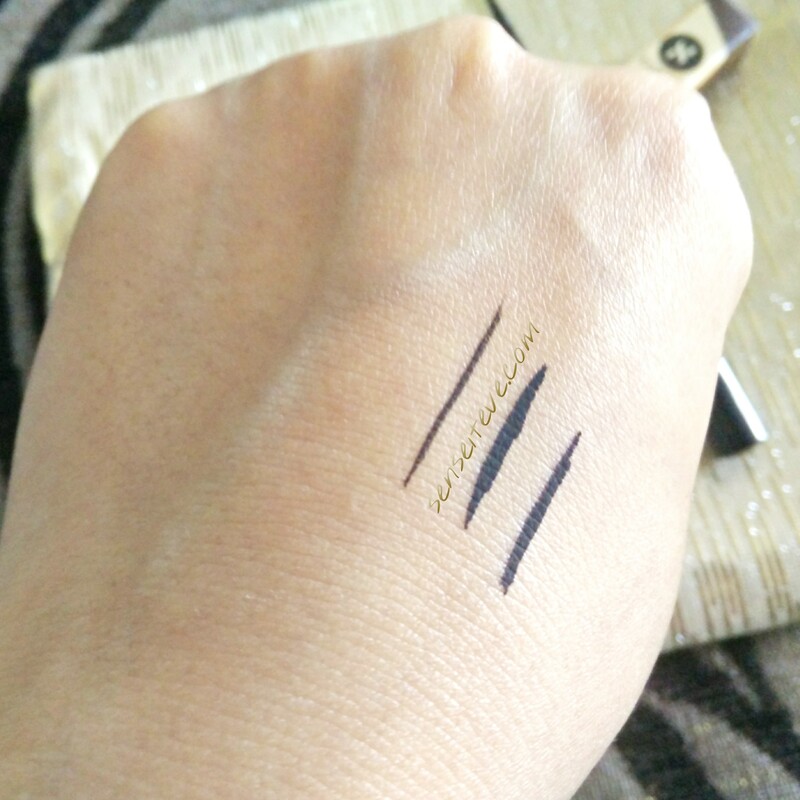 I wanted a good waterproof liquid liner, so I am really happy I got it in my july fabbag. This is a sample sized products. Full size(115ml) product is priced at 2400/- INR and sample I have got is whopping 60ml(more than half size). Really happy to get such a luxury sample. It has fine shimmers in it and it is a sunscreeen so It will give your skin a sparkling finish 🙂 and it is perfumed. These are sample size each 8 ml. 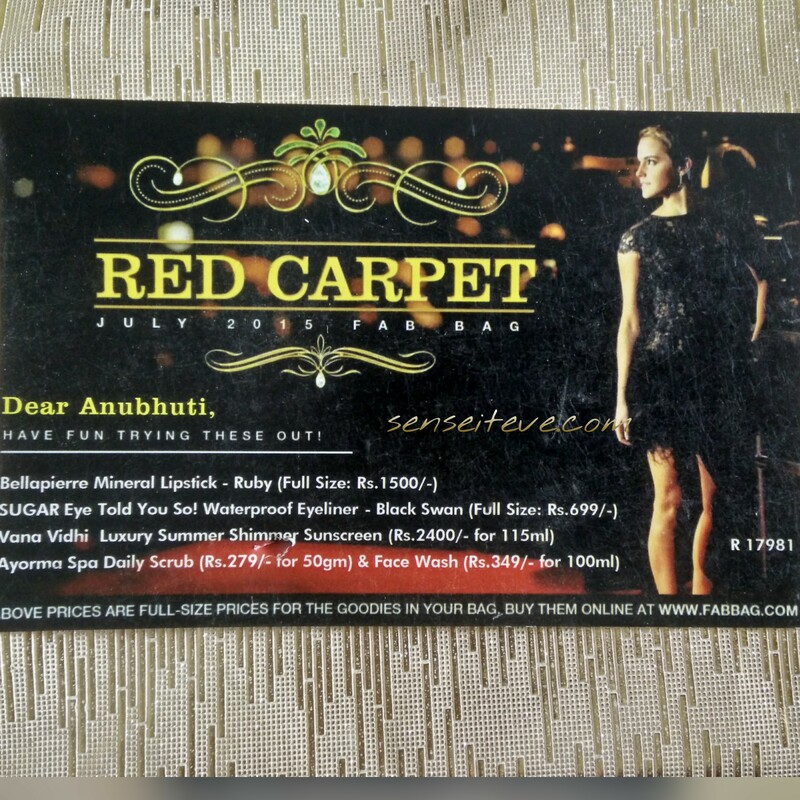 Full sized scrub price is 279/- INR for 50gm while facewash is priced 349/- INR for 100ml. I am really excited to try these but I really wish sample size was a bit bigger(atleast 15ml). Anyways let’s see if they are going to last 10-12 applications. 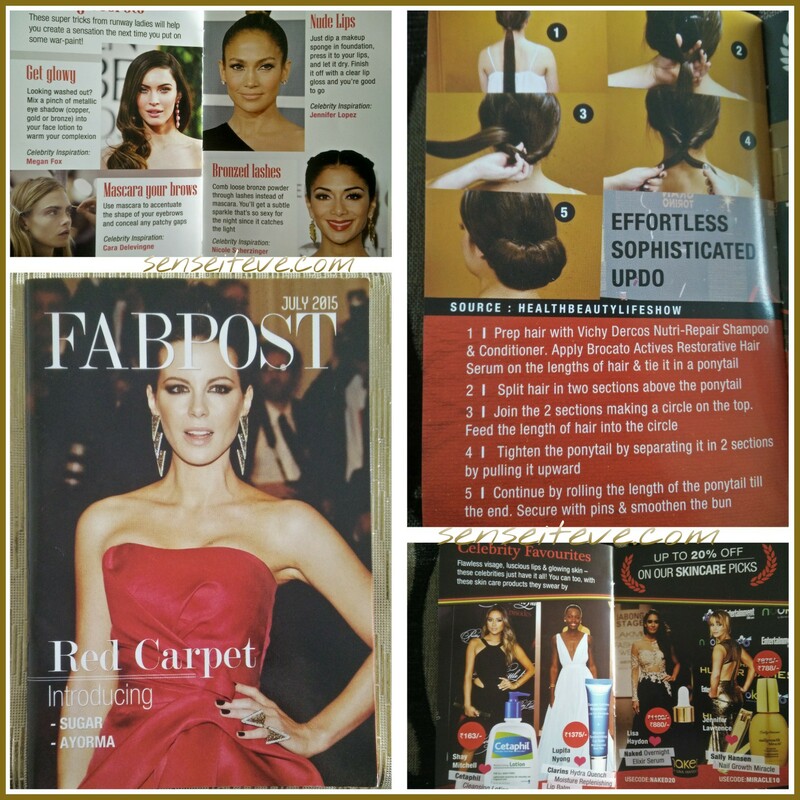 So this is what I got in my fabbag july 2015. What you got in yours? If you wanna subscribe, you can visit their website. i do not see any known brand..it feels sad to see that they are not able to do what they promised when they started the brand! Yeah..they are introducing new brands and not including known brand products..i wish they include atleast one..
great review!!! n really lovely bag u got! kanu recently posted…#Saree – A 6 yard affair..
Maria thanks fir dropping by. I tried commenting on your postson your blog but something is wrong with your comment plugin, it is giving 404 error.i think you should check it.